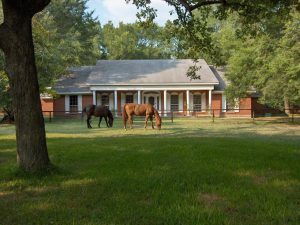 If someone is selling a home, farm, ranch or equestrian facility, it is important that the pastures, fences, barns and stables be photographed. 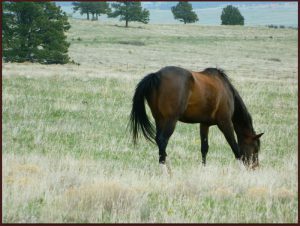 This page is intended to give photographers and Realtors that may not be country people or horse people an idea of what to include if or when they photograph a rural horse property. 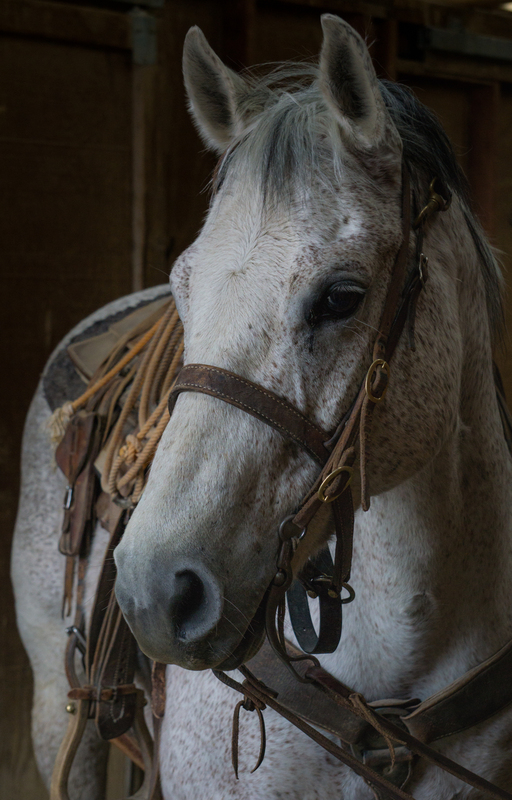 The most important thing to remember is that if a horse person is looking for a horse property, they want to see what the barns and pastures look like. 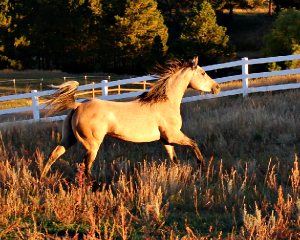 For example, I took a photograph of this Arabian horse running in a pasture in Peyton, Colorado to show off the fence and the pasture. 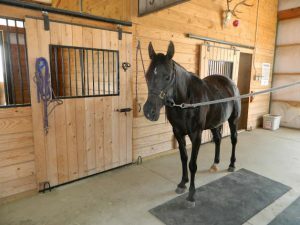 Various horse owners have very different opinions about what kind of fencing is suitable for their horse(s). The best thing to do is to include at least one photo that shows the fencing. When taking photographs of homes out in the country with acreage, the photos will look a lot better if they are taken on an over cast day or during the “golden hours” which are early morning or late evening. The property below was a horse property in Texas that had a covered roping arena. The owners efforts to prepare the house and property for the photographs and the showings paid off with a quick sale. This photograph was taken in the evening when the sun was hitting the front of the house. 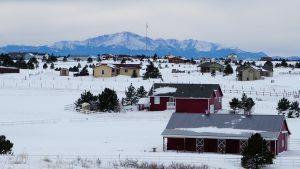 In the snapshot below, I wanted to show that this home, on five acres in Peyton, Colorado, was in a subdivision. The neighbors are relatively close by. If someone wanted a home that was remote, this home would not be for them. However, if the buyer prospects wanted space but to still have some neighbors, this home was ideal. Photographs such as this one help buyers make a more informed decision about whether they want to schedule a tour of the home. Beauty is in they eye of the beholder. 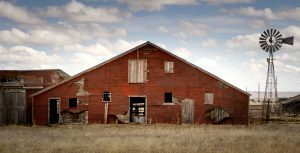 Let buyer prospects determine what they think about the buildings on an old ranch or horse property. This barn, located on Elbert Road, between Peyton and Falcon, Colorado. Of all the properties pictured in this post, this old barn is on the most expensive tract of land. I call this barn the “photographers dream barn” since most of my photographer friends love to take pictures of old barns. The above barn was used for storage. It is of minimal value when compared to the total cost of the property. 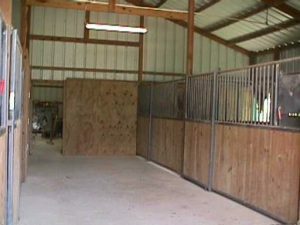 However, it is generally best to have pictures of the inside of the barn. 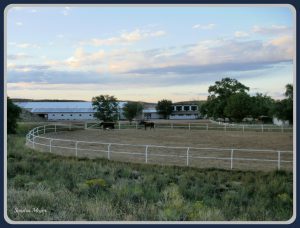 The snapshot below is the inside of a small, three stall barn that was located on a ten acre horse property in Parker, Colorado which sold very quickly. As they say, a picture is worth a thousand words. A well planned barn picture can tell a buyer prospect a lot. For those of us that speak “horse,” we can see this barn is clean on the inside. It has an insulated door at the end. The custom stalls look safe. Concrete floor. Cross ties. I can also see what appears to be electric outlets. If the buyer prospects have a number of homes with barns to choose from, this photograph will not stand out in a buyer prospects memory. If the property has nice pasture, be sure to include a photograph of the pasture. Again, having the horse in the photograph makes it much more interesting than just the grass. Even though I am not include any photographs of the home itself on this blog post, it is still very important to include nice photographs of the inside of the home. 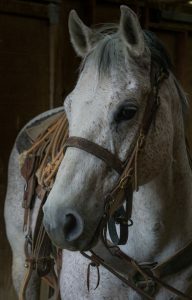 If you need assistance photographing, selling or buying a horse property, please feel free to contact me. I’ll help you out however I can.